Leeds, UK, 4th October 2015 – Visit our stand P20 at Fleet Management LIVE and this will be on October at the 6th & 7th at the NEC Birmingham. 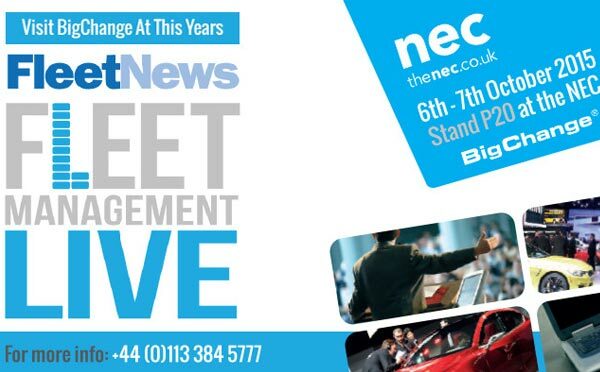 Fleet Management LIVE will be the definitive event for key company car decision makers, whether traditional fleet operator or non-fleet managers in procurement, finance, HR, travel and facilities management. Fleet Management LIVE will cover all aspects of company car management from projecting the future direction of cars, vehicle technology and fleet management to practical and hands-on guidance on effectively running a fleet in today’s ever-changing market.